As we checked the girls this evening, we met Cliff in considerable distress about the fox attack. It turns out that Young Steve across the other side of the allotment has lost 8 of 9 chickens to the fox. The remaining one had legged it out of its enclosure and was wondering free across the site. If left, she would not have made it through the night. All hands to catch it – and my other half produced an amazing one handed grab, catching the chicken, just before he slipped on the mud and fell over. The chicken sensing weakness, bolted. I manages to grab it but failed to secure its wings so it flew out of my hands. Ever the brilliant chicken catcher, my husband got it in a firm gasp and we carried it over to our plot. We checked her over to see whether she survived the fox attack unscathed. She had. We dusted her with mite powder and put her in our coop. That was not a popular decision with our flock but it does ensure she is safe for another night. It turns out the fox has visited the site two nights in a row so it seems likely that he will be back tonight. 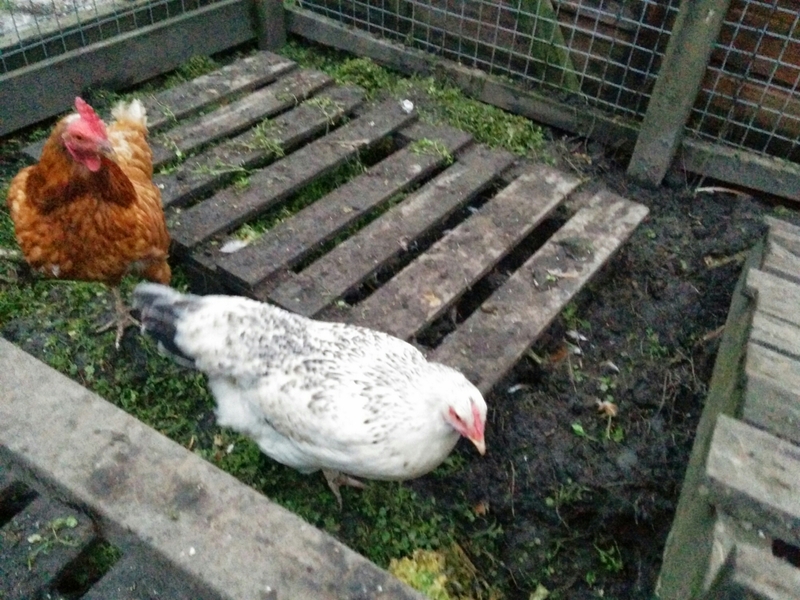 Cliff has locked in his three Cheshire Blues who are on the plot next to us – its a miracle that they haven’t all been killed as the fence is low and the coop has no roof. 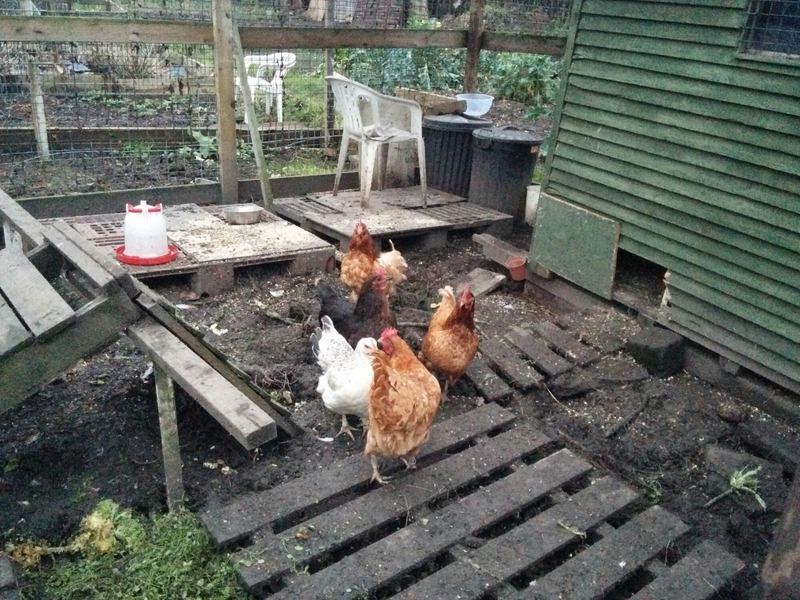 Temporarily, we appear to be back up to 8 chickens…. If Young Steve has to completely rebuild his coop then he may leave the new one with us for a while.